There is one rule in A Quiet Place, make a sound and your death is imminent. In the film, a family tries to survive in a place that deadly aliens have taken over. The creatures will kill anything that makes a noise. Evelyn (Emily Blunt) and Lee Abbott (John Krasinski) communicate with their family in sign language and engage in other preventative measures to protect their family. The movie is a dark horror, but itdoesn’t stray too far into the horror genre because it lacks depth and its only aim to make the viewer’s heart race. What makes it a good horror film is its use of white spaces to create drama and suspense. It relies heavily on the silence that the world is steeped in and it’s not compensated for with suspenseful music. The film dives into a question every parent faces, how far would you go to protect your children? The value of life and whose life should be protected more than others is something often missed in other apocalyptic media. Even if the parenting aspect was taken out of the film, it unintentionally takes viewers back to a familiar dilemma discussed in early philosophy and ethics classes everywhere. If five people were going to be hit by a train unless someone switched the tracks to point the train in the direction of a single person, would it be morally right to leave the switch where it was or to sacrifice one person for the lives of five others? The film draws a line on the limitations of morality in a survival of the fittest scenario. What makes this film strong and deserving of its rave reviews are the things not said. This lends to Krasinski’s decision as director to cast a deaf female lead for his character’s eldest daughter played by Millicent Simmonds. Sound, its limitations, and the danger of being left in silence are explored throughout the film. It is well deserving of its spot at the top of the box office. 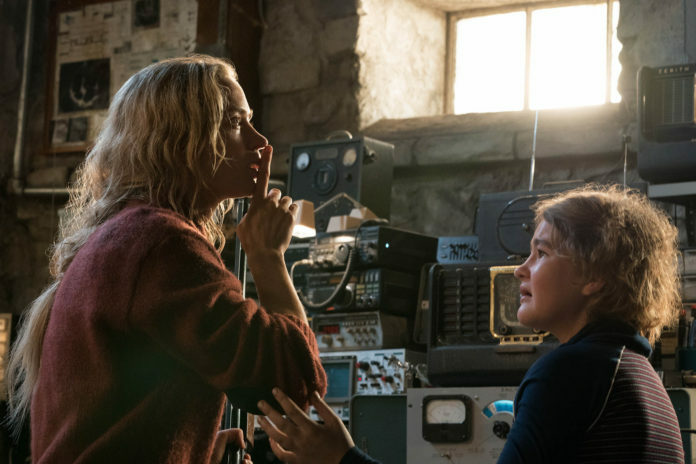 From an actor on the The Office to the director and lead male in A Quiet Place, John Krasinski proves his true talents.This film will leave you wanting more and pondering new ideas.